We are looking for a highly skilled, creative Logistics Officer who will oversees the provision of integrated range of services in logistics in an effective service platform for Tanzania Country office and provide professional advice in the subject areas. Action Against Hunger is a global humanitarian organization that takes decisive action against the causes and effects of hunger. We save the lives of malnourished children. We ensure families can access clean water, food, training, and healthcare. We enable entire communities to be free from hunger. With more than 7,900 staff in 50 countries, our programs reached 14.7 million people in 2017. Action Against Hunger was established in Dar es Salaam, Tanzania in 2015 and initiated institutional and partnering support work in the context of renewed development partners’ efforts to address the prevalence and burden of child undernutrition. Following a multi-sectorial needs assessment conducted by Action Against Hunger in Dodoma and Singida regions, we launched a IMAM scale-up programme that employs the Technical Assistance and Health System Strengthening approach to enable the district-level authorities to improve and scale-up IMAM. Our interventions aim at also fostering communities’ engagement in IMAM programme and also pilot innovative approaches that could boost the effectiveness and coverage of IMAM services. To ensure that the order follow-up is filled and dispatched to the different departments. To consolidate the monthly mission orders and submit by 5th of the following month. To ensure procurements (quality/price/procedures) for the Country Office. To supervise the stock management (storage conditions, stock reports, expiry dates). To monitor the deliveries to the departments/program. To supervise the allocation and the use of the equipment and maintain asset register; the installation, maintenance and repairing of the equipment and the country office’s equipment list is filled and updated. To supervise the use and the maintenance of the mission generators including fuel consumption, regular service and reporting. - Verify the maintenance planning of the fleet. - Verify the weekly schedules as per program and support plans. - Verify the motor cost follow-up. - Ensure administrative checking (Insurances, documentation…). - Ensure refuel of the cars in collaboration with the drivers. - Prepare and update fuel reports for cars and generators using Action Against Hunger’s standard formats. - Follow up fleet maintenance and ensure all services are done on time and keep copies of invoices in the vehicle file. - Update fuel card reports, fuel stock reports Follow up on costs and prepare the monthly motor cost and forward it to the Finance Administrator and Logistics Advisor by 5th of every month. - Ensure all vehicles have the minimum standard tools and first aid kits. - Verify that logbooks are filled in appropriately by drivers. - Ensure that all vehicles are fitted with the proper spare parts and for minor services that we have the spare parts in stock. Receive the material to be handed over and make sign the temporary allocation form for reception and clearance. Ensure installation, maintenance and repair of the equipment. To monitor the construction, rehabilitation and maintenance of all the structures. To represent Action Against Hunger for non-technical aspects on the country office related to logistics. In charge of the information collection and context analysis in collaboration Security Advisor. To elaborate and submits the mission security plan to Security Advisor for review and approval. To follow-up the implementation of the security rules and procedures in the country office. Responsible for the correct physical stock management (ensure proper storage conditions such as cleanliness, ventilation...report expiry dates…). Follow-up with special attention expiry date of drugs & food, and warn the concerned department two months before expiry date. Ensures that stock management follows kit log 3.5, and mainly that stock release orders, stock cards, stock follow up (SFU) and other documents and/or tools are used and are systematically up to date. Arrange deliveries to the departments/missions/program according to their needs. Ensure proper identification of all arrival/departure material (quantity, quality, and delivery). Prepare all cargo and shipping documents (delivery Note, packing list etc.) to be transported to the field and collect the documentation signed for reception from the field. Prepare and submit the monthly stock report by 5th of each month for to the Logistic Technical Advisor. Follow up weekly stocks and share and up to date stock report to all mission managers on weekly basis. Interested? Then apply for this position by clicking on the apply button. All applicants must upload a cover letter and an updated resume and both must be in the same language as this vacancy note. Closing date for applications: 6th of September 2018 5 PM EAT. 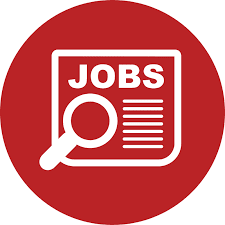 We are looking for a highly skilled, creative Finance & Administration Manager who willoversees the provision of integrated range of services in finance and human resources in an effective service platform for Tanzania Country office and provide professional advice in the subject areas. Ensure proper implementation of Action Against Hunger’s financial rules and procedures. Responsible for the financial authorization of the expenses done in the mission in compliance with financial procedures and monthly cash forecast. Ensure that each cash & bank transaction is justified by an appropriate invoice/receipt, and to ensure the quality of receipts (name, patent no., stamp, description, date, amount, etc.). Where required and in consultation with the Technical Coordinator and Technical Head of Department, provide inputs to budget proposal design and procurement plan design. Check availability of funds for all activities and expenses; validate the procurement requests and Supply Purchase Orders (SPOs). Hold monthly Budget Follow Up (BFU) meetings at country level and communicate feedback to Finance Department in New York. Ensure that correct budget lines are used for each activity & expenses- link to Procurement Follow Up (PFU) and Budget Follow Up. To ensure Action Against Hunger’s finance procedures and Cash Management Policy are followed at the base & capital level. Conduct monthly cash and bank reconciliation. Ensure safekeeping of Action Against Hunger funds and assets. Make cash count at least once a week and at the end of each month (in writing). Consolidate the base cash forecasts. Ensure liquidity at base level- sending balances to Capital, follow up on transfers to bases. Ensure country office expenditures are in line with the approved cash forecast, analyse discrepancy between actual expenditures and cash forecast.